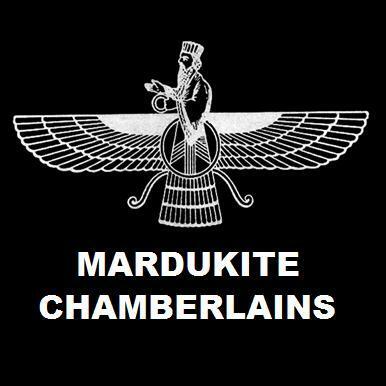 The original 2010 release of the BOOK OF MARDUK BY NABU synchronized with the revolutionary Mardukite Year-2 discourse, known as Liber 50 to the Mardukite Research Organization (Mardukite Chamberlains), first released as Gates of the Necronomicon and then under the title of Sumerian Religion. THE BOOK OF MARDUK BY NABU is reflective of a very real modern movement connected to the Anunnaki system that was realized most famously in ancient Babylon, among the followers of a particular deity, MARDUK – who became not only the patron of the city but also the self-proclaimed ‘King of the Gods’ with the assistance of the Nabu priests and scribes. THE BOOK OF MARDUK BY NABU is not a transliteration of some ancient tablets, although it has been greatly inspired by such. Rather, it is a volume created by self-honest practitioners of a modern tradition that has, for three years now, actively sought communication with ‘alien intelligences’ by means of ancient practices. The result of the research and work developed has come to be known more familiarly as the Mardukite Anunnaki Legacy or the Necronomicon Anunnaki Cycle released privately by the Mardukite Truth Seeker Press since 2008 as a complete culmination of critical documents and materials for these modern pursuits. While the modern Mardukite Research Organization (Mardukite Chamberlains) have made sweeping discoveries and revelations during the course of their existence, the question has been often raised, particularly toward Liber 50, as to ‘how’ this knowledge has been and can be accessed. The only suitable public answer is: THE BOOK OF MARDUK BY NABU — Tablet-W Series now included in the Fifth Edition “Necronomicon Anunnaki Bible“ and “Necronomicon Anunnaki Legacy (Silver Edition)“. Within these pages a newcomer might glean the beauty of the system, but a more adept seeker of the mysteries will undoubtedly discover much more with little further suggestion. The resurrection of this lost book will most certainly be as well received now as it was a year ago, if not even more so, as the work of the Mardukite Ministries continues to reach new heights. We have sealed seven representative stations in Babylon. While it is true that each of the cities did emphasize their local patrons, a god and a goddess, We have sought a unity for all the gods, under the watchful eye of my father, MARDUK, son of ENKI. Our father, ENKI, took MARDUK as an apprentice to the magical and religious arts while in E.RIDU and I later took hold of such mysteries and dispersed the knowledge to my scribes and priests in Babylon and Egypt, where my family was recognized by other names. The names and Gates are not merely there for the bedazzlement of the “occult initiate” as you have been taught (there to ascend to and forget about): they are very real “magical skills” and “spiritual lessons” based on the division and fragmentation of the material universe – a mastery only attainable by a true and faithful relationship with the Anunnaki gods of your ancestors. Man’s use of the spiritual power of the gods became subverted, altered and bastardized into the mystical systems now given for your disposal, written by men with no better understanding of the traditions they seek to invoke then those who read them. (And some of these traditions have even falsely said to be derived from my hand.) The true priest or magician compels the gods by friendship and trust, not fear and hatred.